A good selection of props for a Titanic-era shadowbox. 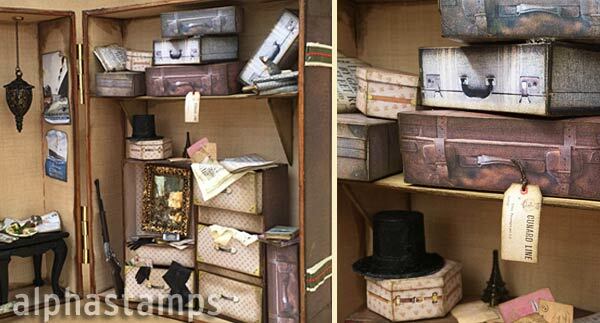 From newspapers to 3D suitcases. Haunted Sunken Ship Suitcase Shadowbox by Teri Calia (see the wide photo below). More info in the blog and/or see the supply list.